Blend the hazelnuts in a food processor until they resemble fine breadcrumbs – you can leave them as chunky as you want if you want a nice crunchy, nutty oatmeal. Reserve one tablespoon of ground hazelnuts and place the rest into a saucepan with the cocoa powder, oats and milk. Turn on the heat and let it cook for 2 – 3 minutes until thickened to the desired consistency. Serve with the reserved ground hazelnuts on top and a variety of chopped fruit e.g. 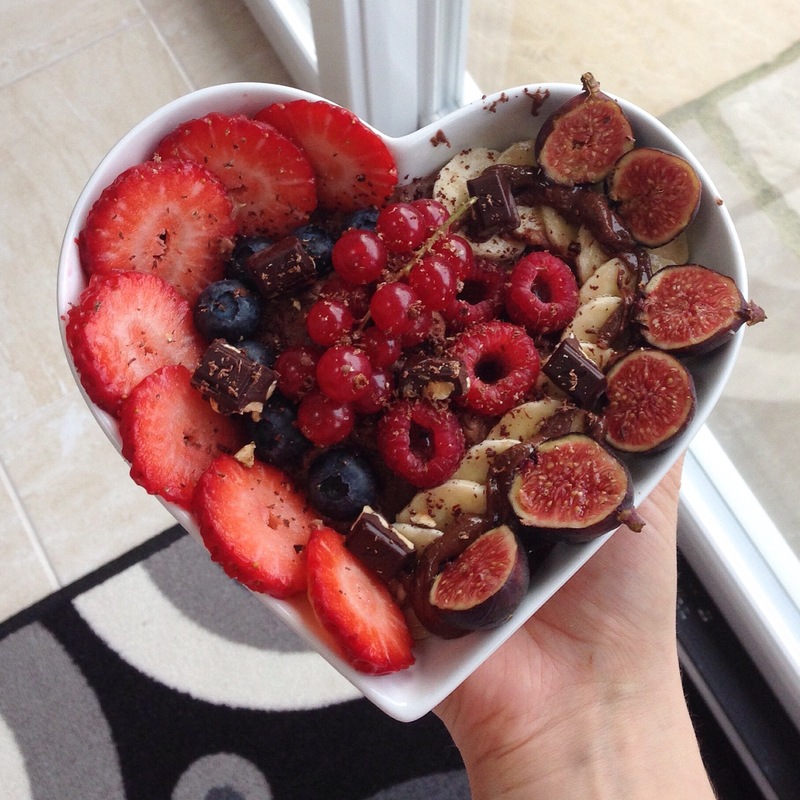 figs, raspberries.